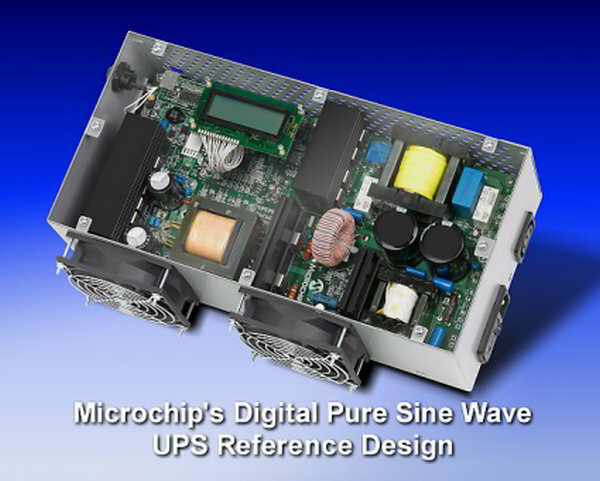 Microchip’s Digital Pure Sine Wave Uninterruptible Power Supply (UPS) Reference Design is based on the dsPIC33F “GS” series of digital-power Digital Signal Controllers (DSCs). This reference design demonstrates how digital-power techniques when applied to UPS applications enable easy modifications through software, the use of smaller magnetics, intelligent battery charging, higher efficiency, compact designs, reduction in audible and electrical noise via a purer sine-wave output, USB communication and low-cost overall bill-of-materials. This reference design is Royalty Free. 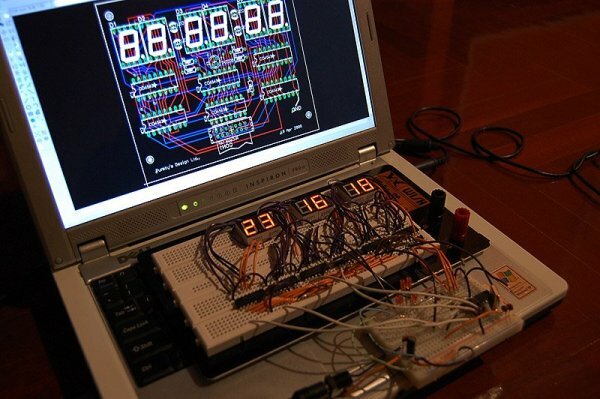 This project contains complete documentation and software & hardware design information. The push-pull converter steps up the battery voltage to 390 VDC. After enabling the MOSFET driver, the PWM outputs from dsPIC® DSC control the output voltage. Input and output DC voltage, primary current and heat sink temperature act as feedback signals. 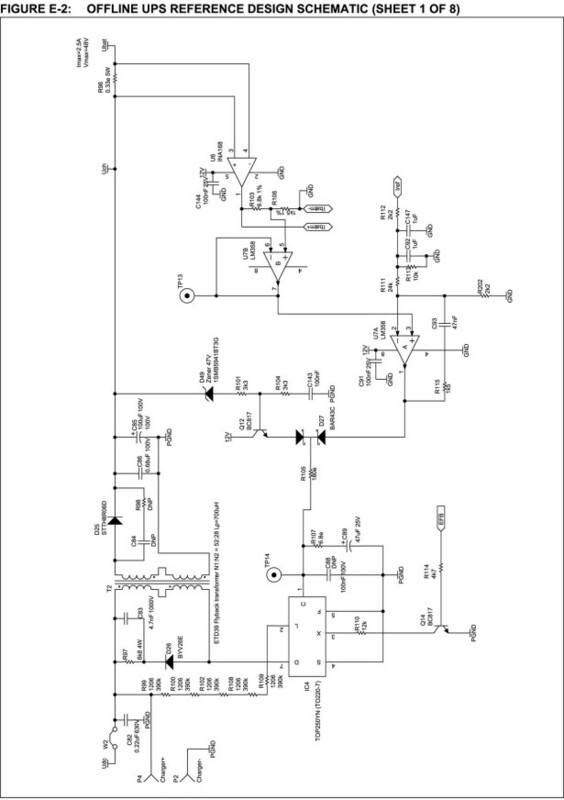 A full-bridge inverter topology is used to convert the high-voltage DC to pure sine AC output. Sine-triangle PWM in unipolar configuration is used to switch inverter IGBT modules. Full-bridge with unipolar switching helps to optimize components rating, and reduces output filter size. Input DC voltage, output AC voltage, output filter current and incoming line AC voltage are used as feedback signals to implement efficient full-bridge control loop. Fast and intelligent switch-over from “Mains” to “Inverter” and vice versa is implemented with intelligent switchover algorithm, which also helps to control in-rush current during switchovers. Flyback converter is used for battery charging to prevent charging losses over other methods. In the presence of AC mains voltage, the Inverter mode is disabled, and the UPS switches to the battery charging mode. The dsPIC®DSC device provides the reference current level with a variable duty cycle PWM signal. Battery voltage and battery charging current are used as feedback signals to implement an intelligent charging profile, which extends the battery life. 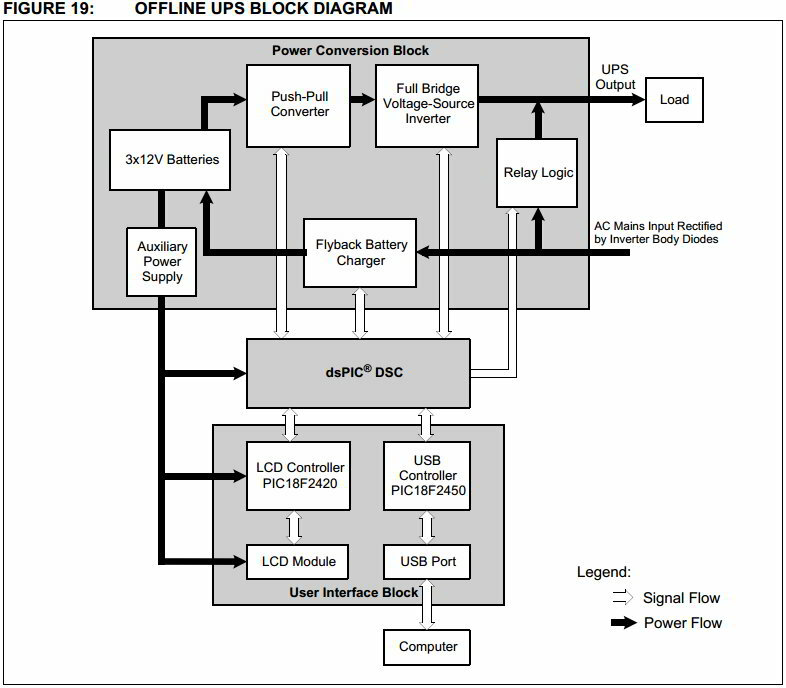 Can I get this UPS Hardware and Complete details. If so please quote. can you supply to KUWAIT.